With Brian’s job, our only option was to take the kids to grandma’s house in California and pick them up whenever I was released from jury duty. We went ahead and actually planned on taking them over there, just in case, because it was really our only option. Can you imagine my relief when I called Friday night for Monday and the recording told me that they had all of the jurors they needed and I would be marked as having my time served! Talk about a happy camper – and I even did a little dance! Now that I have that behind me, I feel like I can continue with full-on Christmas mode! For us, that means having small casual get-togethers with family and friends throughout the season! Since we have lots of space, we often host these get-togethers. That means, I need quick, easy and delicious ideas for entertaining! 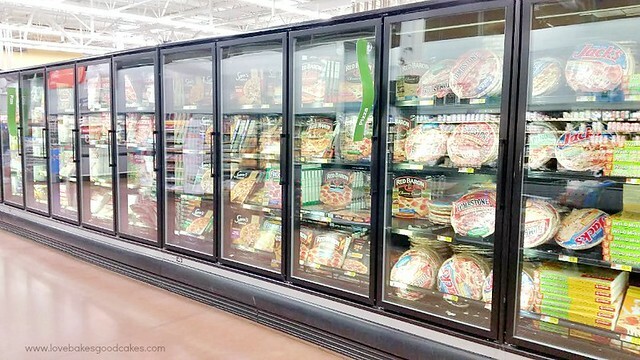 We’ll be hosting a pizza and salad party at our house this coming weekend, which means I need to head to Walmart to stock up on a few things! 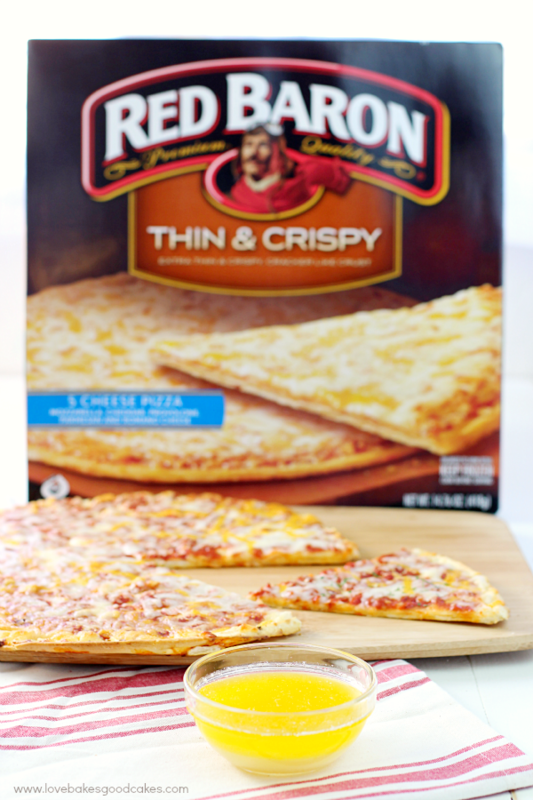 Red Baron® Thin & Crispy Pizzas at Walmart are the perfect solution – they make holiday hosting easier! 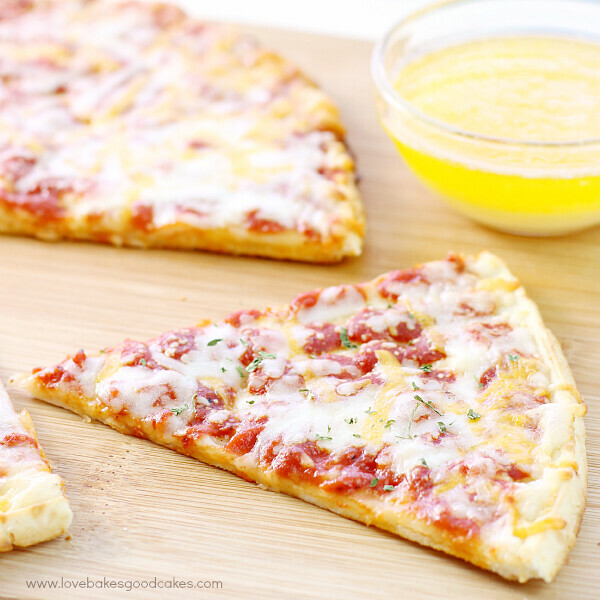 Everyone loves pizza – especially when they can dip it in delicious Garlic Butter Dipping Sauce! The thin crust with premium cheese and hearty toppings gives you and your guests pizza satisfaction every time! 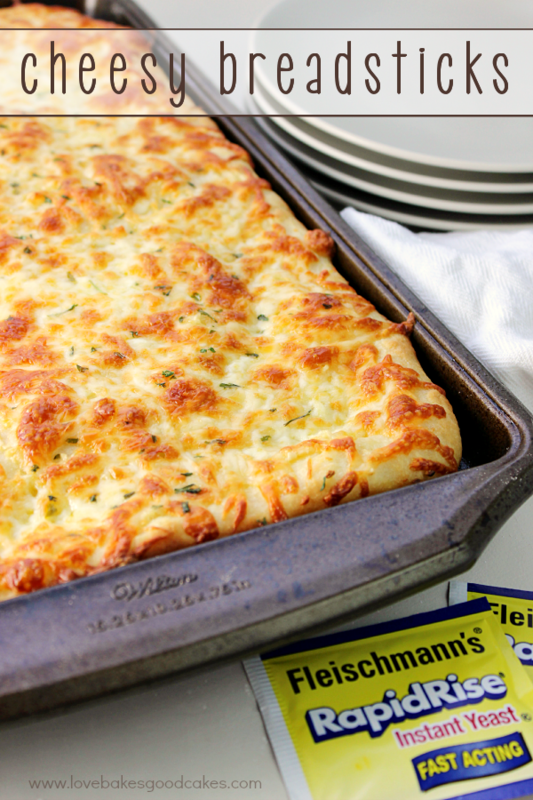 Not only are Red Baron® Thin & Crispy Pizzas great for entertaining, but they’re great for dinner on those hectic nights! I like to keep a few in the freezer, just in case! 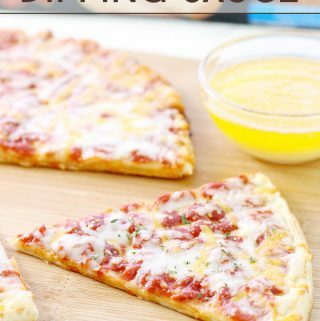 While the pizzas are baking, I can easily mix up my Garlic Butter Dipping Sauce! 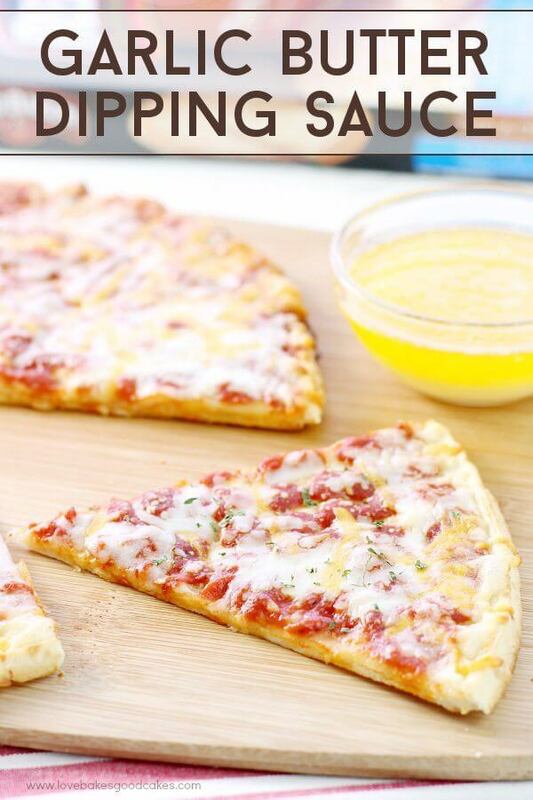 And don’t even think I just use this Garlic Butter Dipping Sauce for pizza crusts …. oh, no! I dip the whole slice!! Everyone in the Love Bakes Good Cakes house loves this dipping sauce – so we each get our own little dipping bowl! 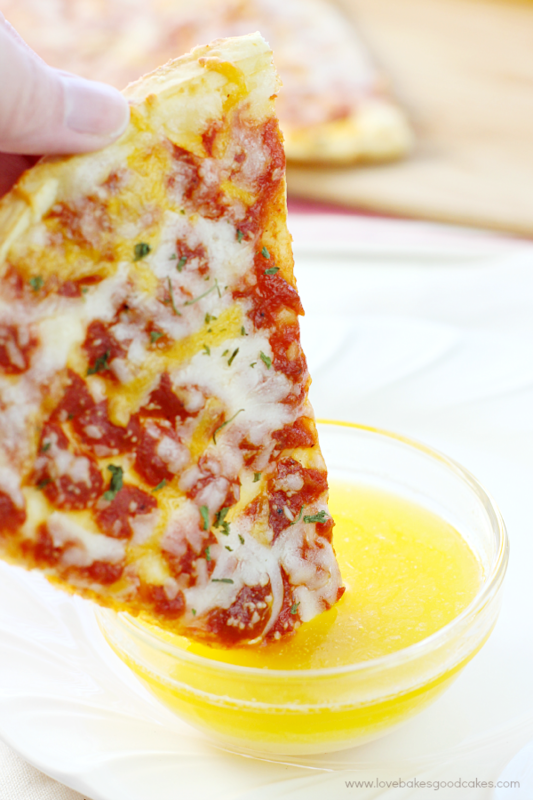 It's easy to make this Garlic Butter Dipping Sauce at home! 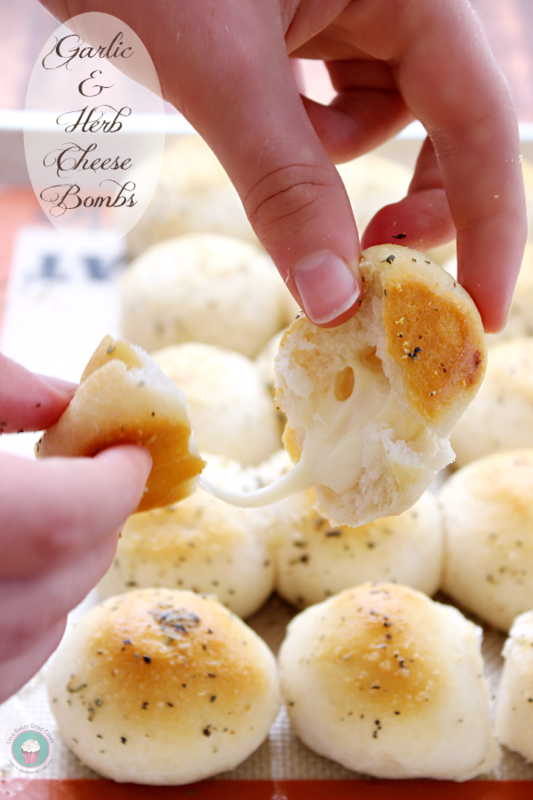 Grab a few pizzas for dinner or game day - and let's get to dipping! Once the butter is completely melted, remove from heat and use a spoon to carefully remove the foamy layer on top; discarding foam. Whisk in garlic powder and salt, if using. Transfer to individual dipping bowls. 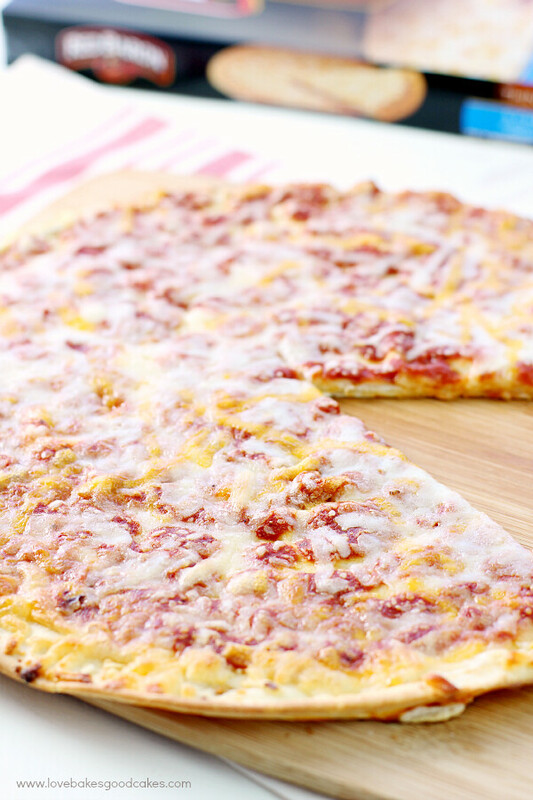 I would love to hear how your family likes to dress up frozen pizzasI would love to hear how your family likes to dress up frozen pizzas to make them extra special! Maybe you have an awesome side salad or you have your own special dipping sauce?! Fee free to leave me a comment telling me what your family does! Wow does this look delicious! I'm all about easy eats like Red Baron this time of year. Thanks for sharing!